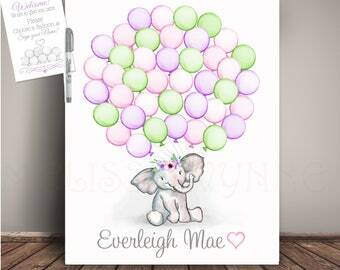 Proof upon Request: Enter "Proof request: 'Email Address'"
Have your guests sign in a balloon! 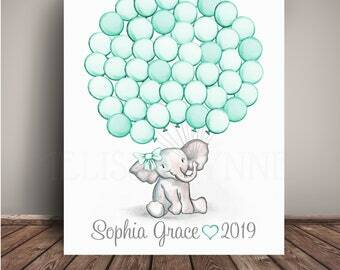 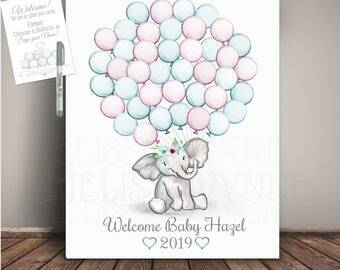 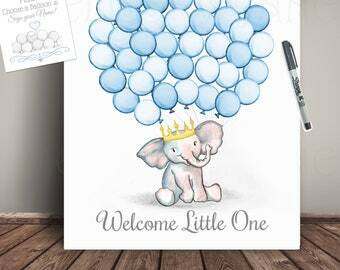 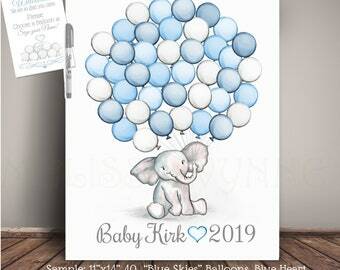 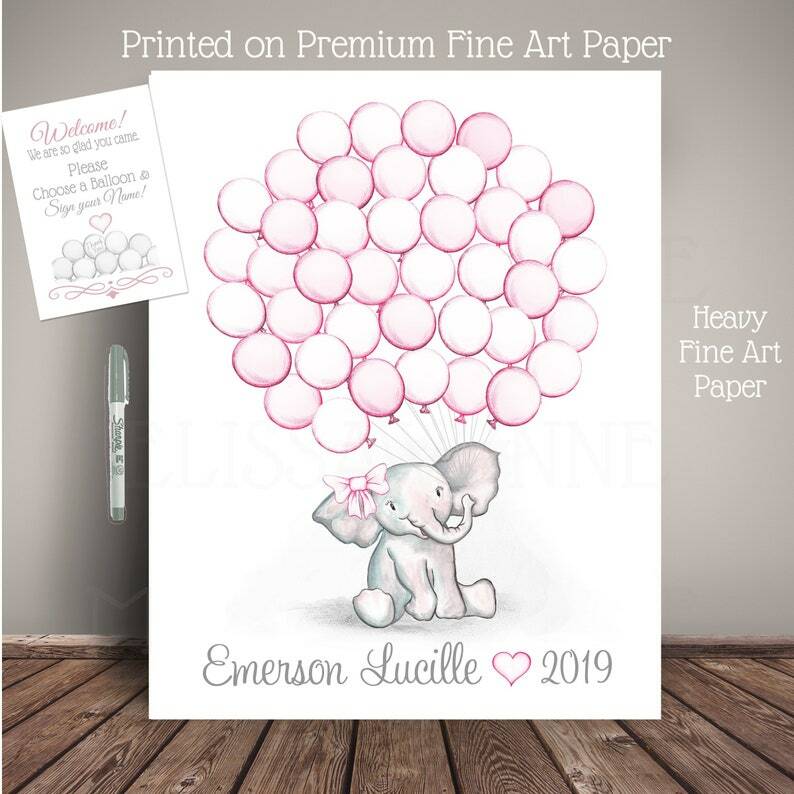 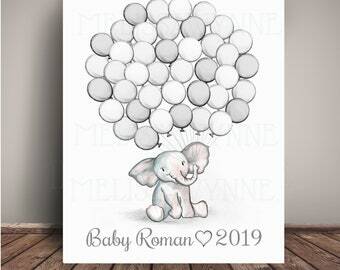 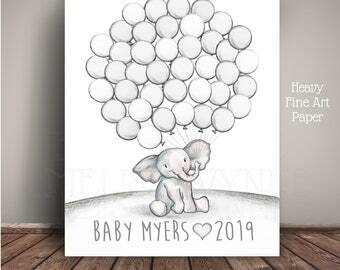 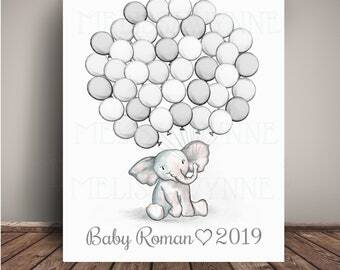 The Nursery Art Print, Printed on Premium Professional Quality 300 gsm Fine Art Paper with High Quality Inks, serves as an Elephant Baby Shower Guest Record as an Alternative to the traditional guest book. 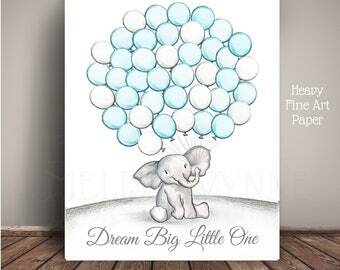 or can be used for birthdays, Christenings, and more! 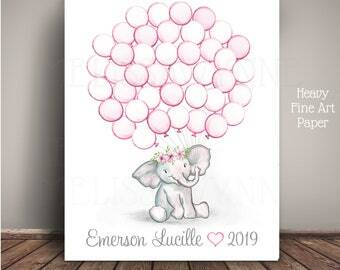 Choose from a floral headpiece, bow, or no accessory! 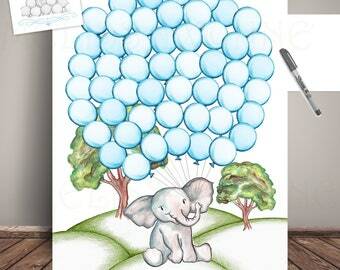 --The Baby Elephant, from my original watercolor painting, holds the balloon quantity of your choice (see drop down menus at right).